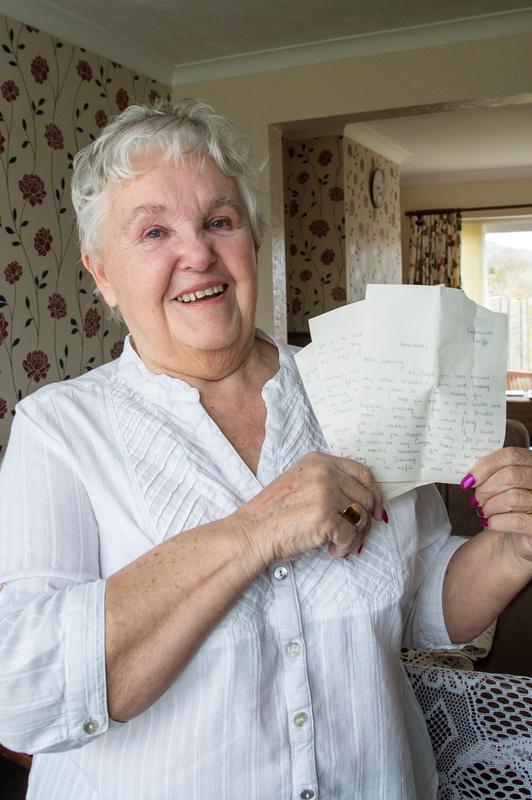 Maureen Dubberley with the letter that she sent in 1961. A widow has been reunited with a love letter she sent to her soldier husband 57 years ago – after it was found in the pocket of his combat trousers at an army surplus store. 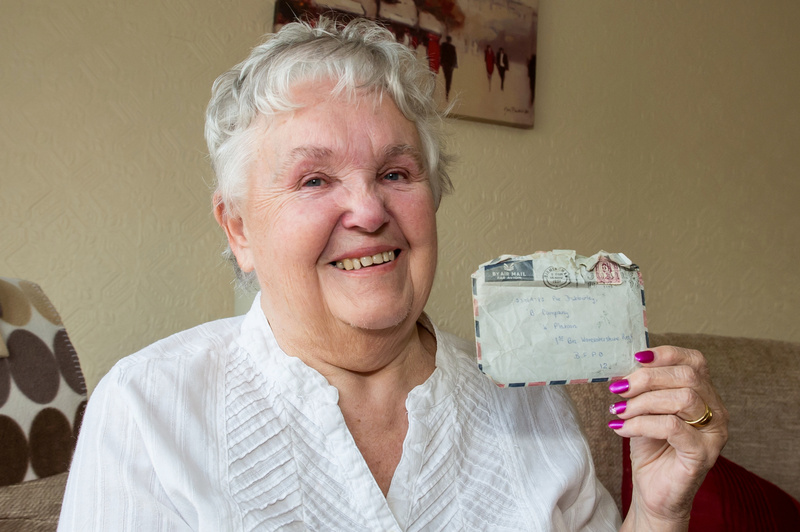 The crinkled love note was sent to Colin Dubberley by his then 19-year-old beau Maureen while he was on National Service in the Caribbean in November 1961. Lance Corporal Dubberley, of the Worcestershire Regiment, read the letter and put it into the pocket of his army-issue trousers. After Colin completed his military service, his uniform, including the trousers with the letter, were put into storage before being sold to army surplus stores. Incredibly, last week a man contacted Maureen on Facebook to say he had bought the trousers and discovered the letter inside the right hand pocket. Colin died in 2000 aged 60 from a suspected heart attack, and Maureen says the letter is a welcome reminder of their early relationship. 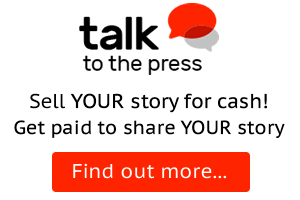 Retired wages supervisor Maureen, 75, from Halesowen, West Mids., said: “I couldn’t believe it when it arrived. “It brought back a lot of memories. “I didn’t recognise the writing on the envelope at first. “It didn’t look like my writing, but it had my husband’s army number on it. 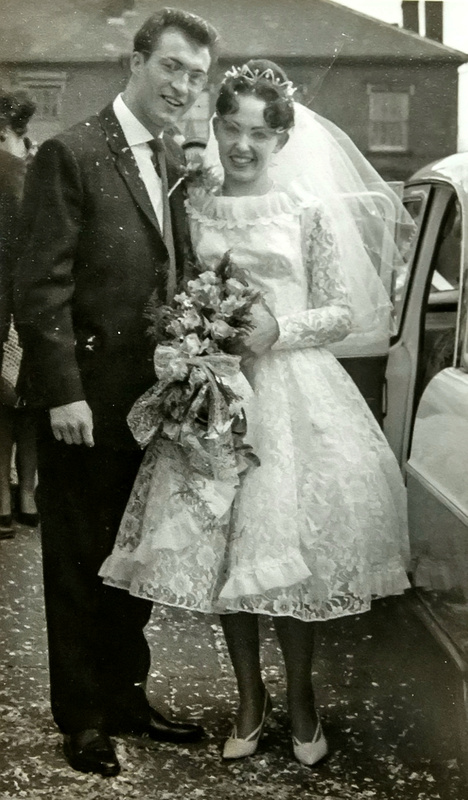 Colin and Maureen on their wedding day in 1963. “I have got all the letters that my husband wrote to me, but this is the only one I have got that I wrote to him. 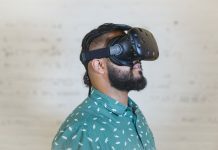 “It’s rather funny that I have been reunited with the letter by a man who contacted me using modern day technology like Facebook. 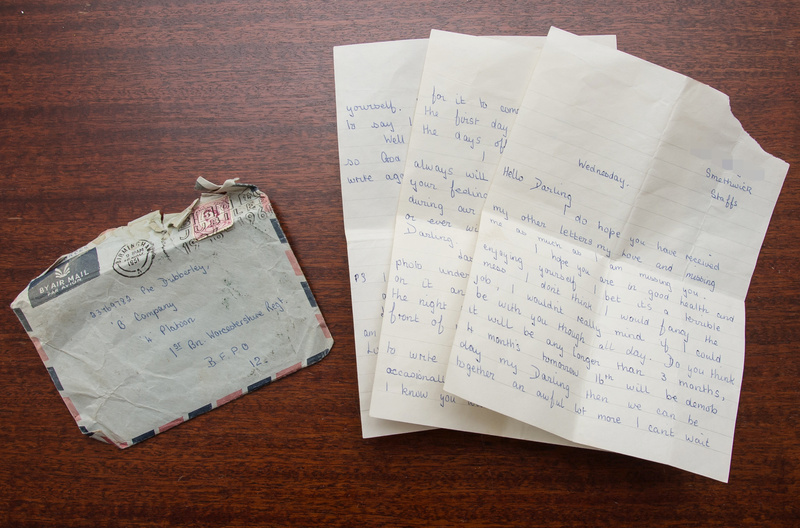 In the letter, dated November 19, 1961, Maureen writes: “Hello Darling, I do hope you have received my other letters my love and missing me as much as I am missing you. “I hope you are in good health and enjoying yourself. 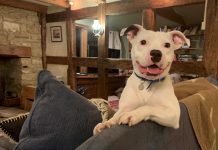 “I bet it’s a terrible mess, I don’t think I would fancy the job, I wouldn’t really mind if I could be with you though all day. “Do you think it will be any longer than three months? 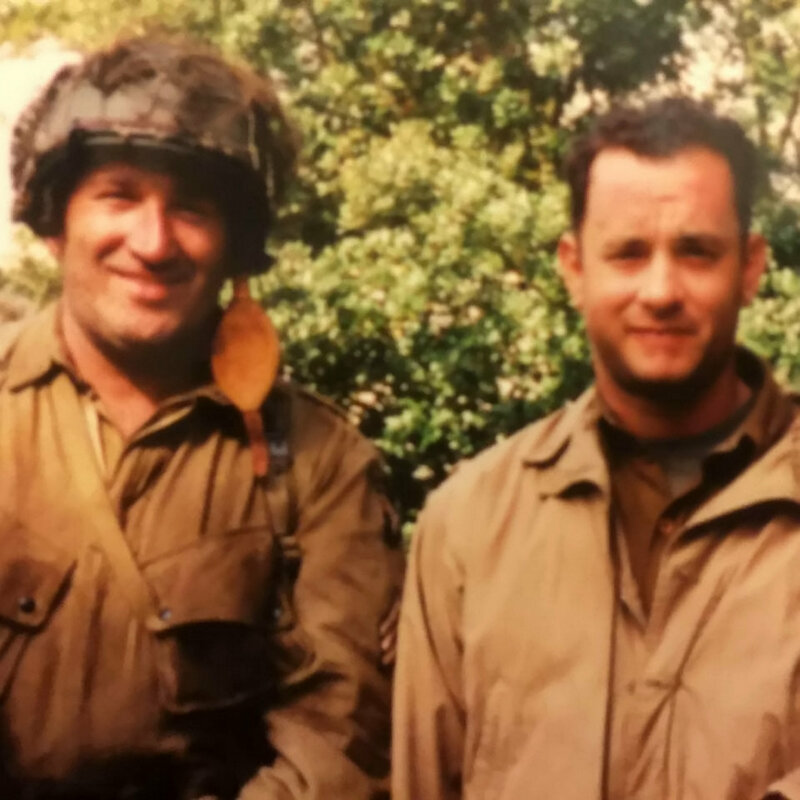 Lee Money, 57, (L) a military prop manager who works in the film industry, who found the letter in the pocket and tracked Maureen Dubberley down – Pictured with Tom Hanks on the set of Saving Private Ryan. “Four months tomorrow, the 16th, will be demob day my darling then we can be together an awful lot more, I can’t wait for it to come. “I shall start as from the first day of the New Year crossing the days off. “Last night I slept with your photo under the pillow with my hand on it and I woke a few times during the night and kissed it, it is in front of me now. “I know it may be difficult to write but as long as I get one occasionally I won’t worry too much about you, I know you will take great care of yourself. “The letter I wait for most is to say, ‘I am coming home my love’. “Well it’s getting on for midnight so God bless you my darling, I will write again soon. “All my love and kisses for ever and ever, your sweetheart girlfriend Maureen. Colin, a brewery drayman, was dispatched to British Honduras, now Belize, and Jamaica while on National Service, to help with the clear up operation after Hurricane Hattie. The Category 5 hurricane saw winds of 160mph batter the Caribbean for six days and left more than 300 people dead. 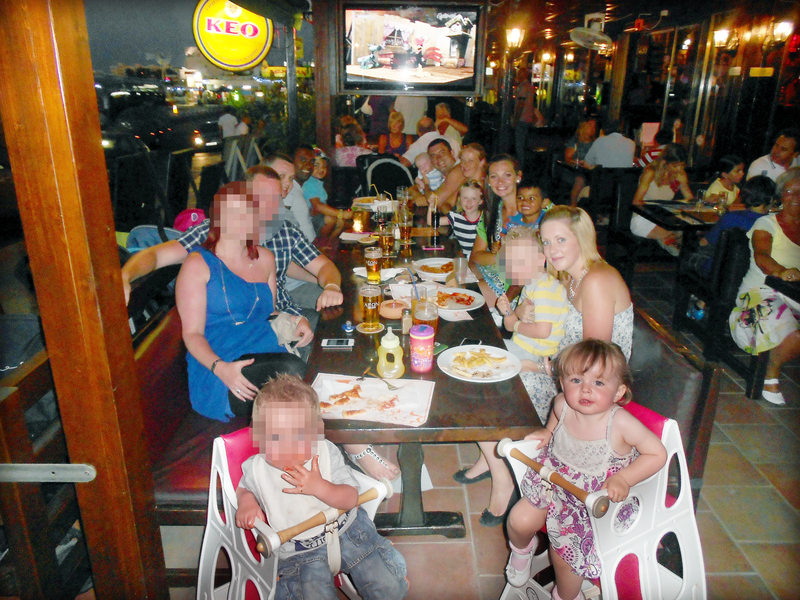 Months later he returned home and married Maureen and the couple were together for 37 years and went on to have three children and four grandchildren. 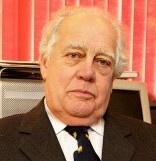 Colin died 2000 aged 60 after suffering a suspected heart attack while he was on the bowling green. Maureen said she found out about the survival of the letter by Lee Money, 57, who tracked her down using Facebook. 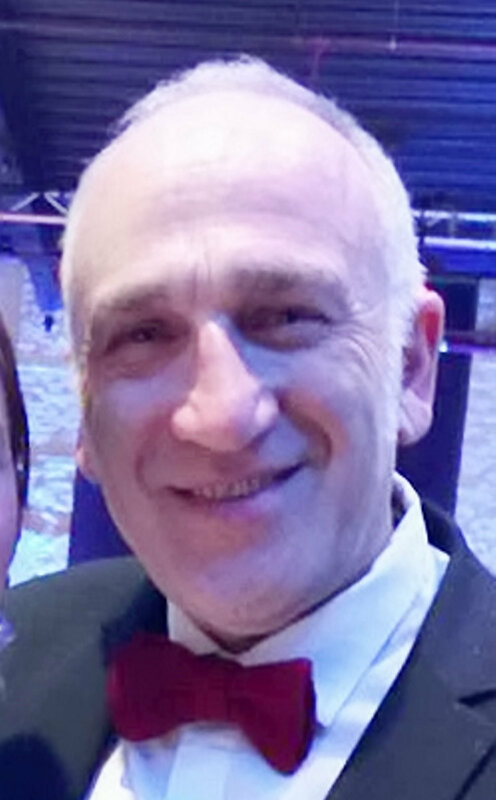 Lee Money, 57, a military prop manager who works in the film industry, who found the letter in the pocket and tracked Maureen Dubberley down. 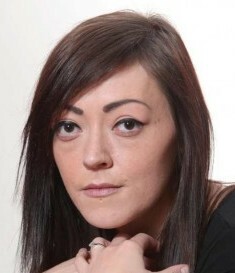 She added: “I was contacted over Facebook by a man in Bracknell, Berkshire, who buys old army equipment and uniform. “He messaged me a picture of the letter and said, ‘does this letter belong to you? “He said he found the letter in the pocket of one of the pairs of trousers he got from an army surplus store. “They must have been Colin’s trousers because it’s my handwriting on the letter. “Colin came out the army in 1962 and where these trousers have been all these years, God knows. “I often look through all my letters which I’ve got (from Colin) and I can’t find another one that I’d written to him, I had all the ones he had wrote to me. “It’s as if I could have written it yesterday.